Since last two years I have been missing this event, the giving campaign run of 5Km inside Microsoft campus. The idea is to raise funds for your favorite NGO by contributing to them through this event. Thankfully no injuries this year and I was ready to give a good attempt to this comparatively short distance run. Ryetika (my Frisbee mate) was also there with me, equally excited for this. 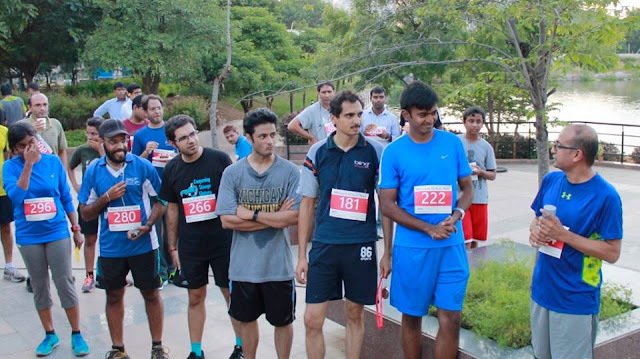 Unlike other participants, we both looked more serious as we warmed up before the start. 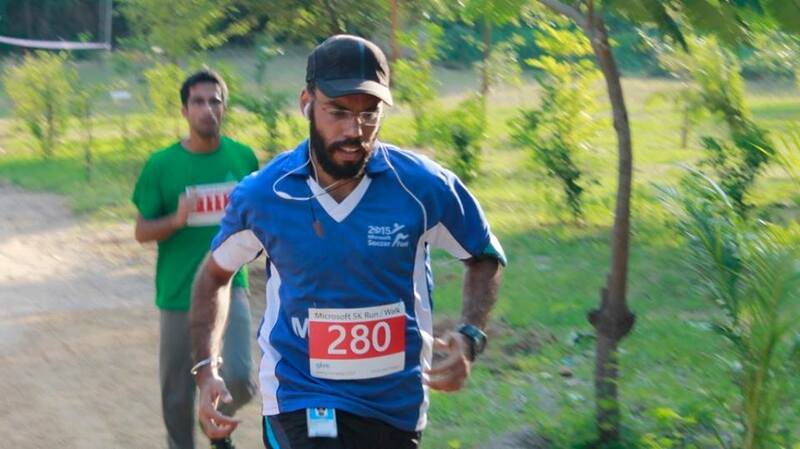 Anirudha, the inspiring guru was not running as he sustained an injury recently (felt really bad for him). But he was around to click some awesome photos. After flagoff, I started with a good pace. It was little hard to overtake others to start with but after about a KM near the hill climb, I was over all of them and now can focus more. The slant took some toll but I kept running. Microsoft is an amazing campus to run with lot of greenery and it was real fun to say hi to your fellow employees running along the course. Almost 2Km done when I saw Mr. Anil Bhansali jogging in front of me, reminding me of the challenge he has posed to all employees to outrun him, and he will match your contribution to your favorite NGO. I overtook him easily to meet this ‘guy in green shorts’. He was really competitive as whenever I overtook him he always came to lead. I held my nerve to remain behind and wait for the last sprint. It was good idea to pace along with him. My plan, to not take any pit stop, went bad as during the second loop after the climb I got a stomach ache (pretty unusual for me). I had to pause and stretch for a minute. During second loop I also met OP (our frisbee captain), his cheering did motivate me further. After that it was a flight till end as I had a consistent pace. I finished in good 25mins. We were 6 people who outran Mr.Bhansali today, top 3 got medallions. 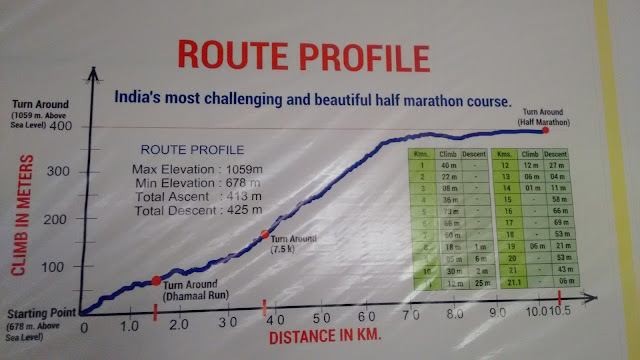 Ryetika also finished in good 33mins, just a min away from 3rd position. After the medal giving and appreciation ceremony, me and Ryetika discussed correct running technique and posture.